Verstappen went on to finish in fourth position, and was only stopped from scoring a likely podium at a late safety car that prevented him from overtaking the ailing Ferrari or Charles Leclerc. 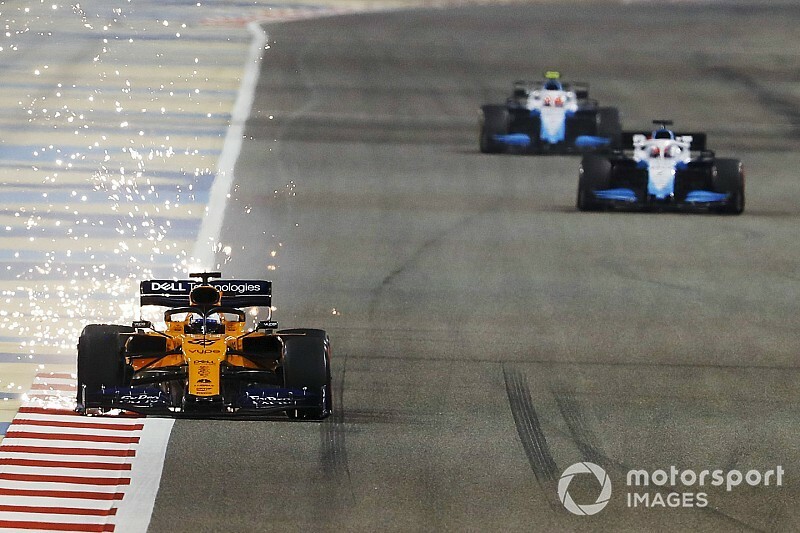 McLaren retired Sainz's car with a couple of laps to go in the race, and the Spanish driver revealed a point finish would have been unlikely because of a gearbox problem he had all race long. "I'm trying to look at the positives , "said Sainz. "A good start, a good first lap, the cars in front open the gap and I could stay with the top six without problems.
" Then I don't think we would have finished in the points because my gearbox failed all over the race. "We had a gearbox problem that was making us lose almost a second per cloth, so if I had taken over Verstappen I would have been fifth and then suddenly I would have had the gearbox problem, then it would have been even more dramatic. " When asked if he had the pace to be on the podium, he said:" I prefer not to think about it. " Sainz tagged his clash with Verstappen as "The Dutchman had hit him very hard." "Well, it's racing, it's incidents. All I can say is that I started all I had to do and tried everything I had to try and I ended up worse off. It was my turn to get puncture thanks to how hard he hit me. "The normal thing would have been that we got a punctur e and to be both out of the race. He was lucky to continue, but he hit me really hard and that was it. " "Tired of going around the outside and braked late, I guess he didn't see me," Verstappen said. "These cars are blind to what is happening next to you. I braked late and saw him turn into the corner, so I had to take avoiding action. We clipped wheels and it was unfortunate. "